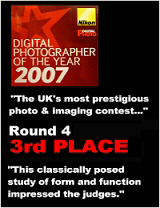 I'm an experienced freelance photographer based in Dorset, UK. As well as landscapes and portraits, I love to create bespoke images - for websites, catalogues and other commercial use, or as individual and unique artworks for commission and exhibition. I combine both a traditional and digital approach to imaging, making anything and everything possible (except weddings) and I like fresh challenges (except weddings). My work is on permanent display at The Cygnet Gallery, Swans Yard, High Street, Shaftesbury, Dorset SP78JQ. I enjoy working on new projects. My prices are realistic. I've won a few awards. If you're looking for some good quality photography, get in touch!